At this time, the Squirrel children’s language is developing rapidly and many begin to put sentences together. Children learn from conversations with other children. New idea, new things, past, present and future are all concepts that they begin to explore. Praise from new achievements helps to build self-esteem. Self-help and independence in eating, toileting and dressing emerges with support from caring adults. The Squirrel children are continuing to increase their independence and confidence! The staff plan activities that develop their manipulative and coordination skills with puzzles and games, their creative skills with drawing, painting, sticking, cutting and free expression, their language skills with books, poetry, songs and individual and group discussion. 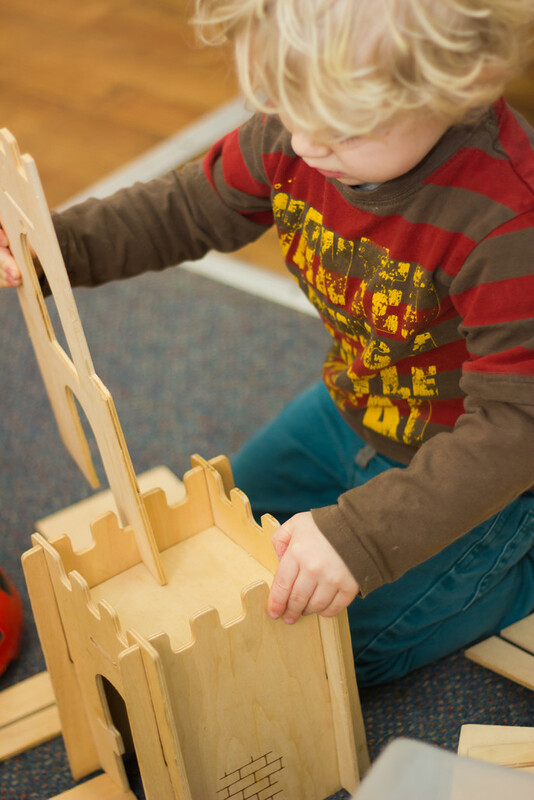 Developing physical skills mean that children are usually able to walk, run, climb and play with other children experimenting with equipment and participating in active play. It is an important time to explain safety to the children and for them to learn about angers and safe limits. Riding tricycles, climbing frames, soft play, music and dance support, their spatial awareness and body control, while jumping, kicking a ball or balancing on one leg offers fun and physical challenges. Well maintained and accessible resources which are age appropriate are contained within the Squirrel Room. Outside opportunities are provided on a large scale and with opportunities to do things in different ways. Key People plan for their group based on the children’s interests and learning priorities.